First, second and third prizes were awarded in each of the three categories: Wild and Fun, Family & Friends, and Landscape. In total, prizes were valued at more than $3,000 overall. All the winning photos are posted on Facebook and the GDV Blog. Pictured below are the winners in each category. Raymond and Angela B., Orlando FL submitted the winning shot of Villa D ’Este’s Oval Fountain (Italy) in the Landscape Category. The first prize in the Wild and Fun category was awarded to Giovanni T. and Morgan K., Perth, Australia for a photo taken during their Royal Caribbean Cruise. Gary and Rebecca K, of East Bethel, MN took home the “Executive’s Choice” for their shout-out to Global Discovery Vacations along the Coastal Path near Kapaa, Kauai. First place contest winners were awarded a $500 Global Connections Inc. vacation credit, good towards condos, cruises, tours and more. Each second- place winner received a free activity fee and the prize for third place winners was a one–bedroom “Expressway” condo vacation. 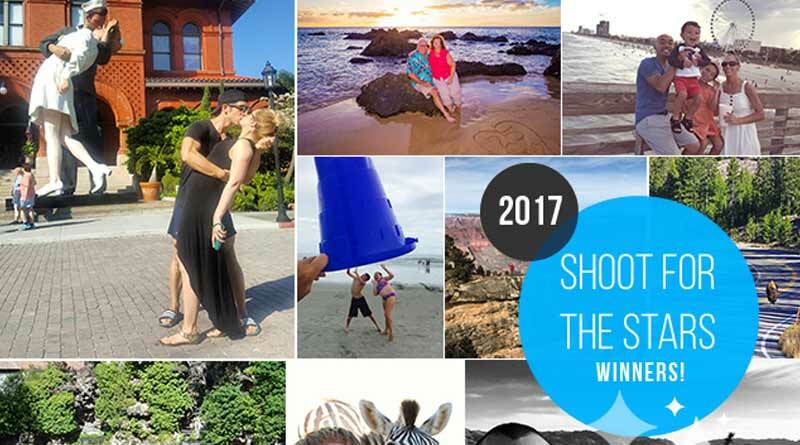 The Executive’s Choice Award winner had the option to select from any of the three prizes offered and this year’s winner– for their photo taken on the beach in Hawaii–selected the $500 vacation credit.